The deep archaeological sequence of Panga ya Saidi cave has produced a remarkable new cultural record indicative of cultural complexity over the long term. Among the recovered items are worked and incised bones, ostrich eggshell beads, marine shell beads, and worked ochre. 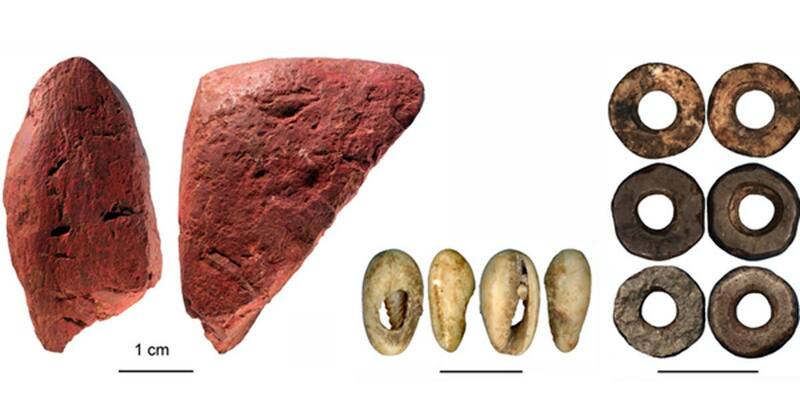 Panga ya Saidi has produced the oldest bead in Kenya, dating to ~65,000 years ago. At about 33,000 years ago, beads were most commonly made of shells acquired from the coast. While this demonstrates contact with the coast, there is no evidence for the regular exploitation of marine resources for subsistence purposes. Ostrich eggshell beads become more common after 25,000 years ago, and after 10,000 years ago, there is again a shift to coastal shell use. In the layers dating to between 48,000 to 25,000 years ago, carved bone, carved tusk, a decorated bone tube, a small bone point, and modified pieces of ochre were found. Though indicative of behavioral complexity and symbolism, their intermittent appearance in the cave sequence argues against a model for a behavioral or cognitive revolution at any specific point in time. The article, originally titled ‘ 78,000 year cave record from East Africa shows early cultural innovations ’ was originally published on Science Daily.